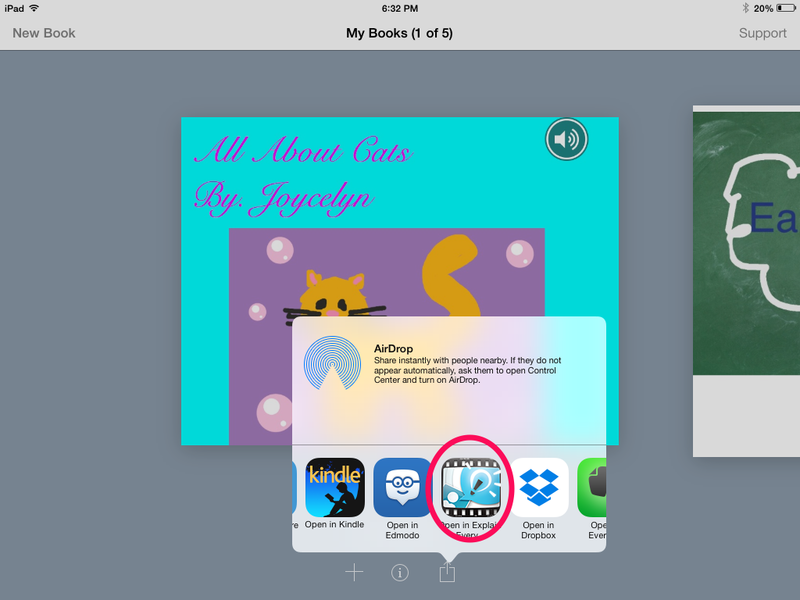 A common question I have, is "How do I share students' work from the Book Creator App?" This is a fabulous app for students to share their learning, however, when it comes to embedding on a blog or sharing it with parents, it can get a bit tricky. I have taken one of my students Book Creator creations and will show you a handful of ways to share it with parents, embed it onto their blogs or the classroom blog and where you can store it online for easy access for parents. The first way to share a completed book is to export it to Dropbox, Evernote, or Google Drive. Once you have saved it in your preferred application, you can email the link to whomever you wish. All your recipient needs to do is to open it in their iBooks App. I personally do not email my students' parents, so this option is not one that I can use. Another option is to save the book as a PDF. Note, if you save it as a PDF and you have video or voice recordings in the book, it will not transfer. The website, Flipsnackedu is a special web too for educators. 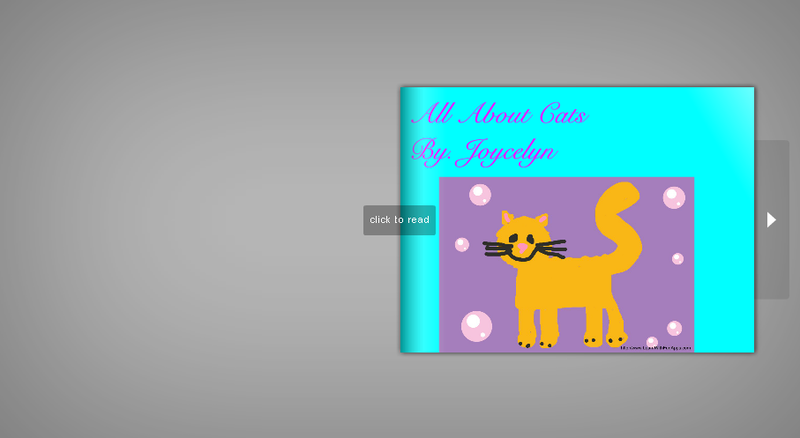 You can create a flipping book from your students' PDFs and it has its own private and safe learning environment. Flipsnack does have an embed feature, however you need to purchase the premium account for that option and I only have the free account. Another option is to have your students take screen shots of their book, upload the pictures in iMovie then add voice over to the movie. This option takes a lot of extra time but if you really want to share their books on their blog or on Youtube then this is another option. 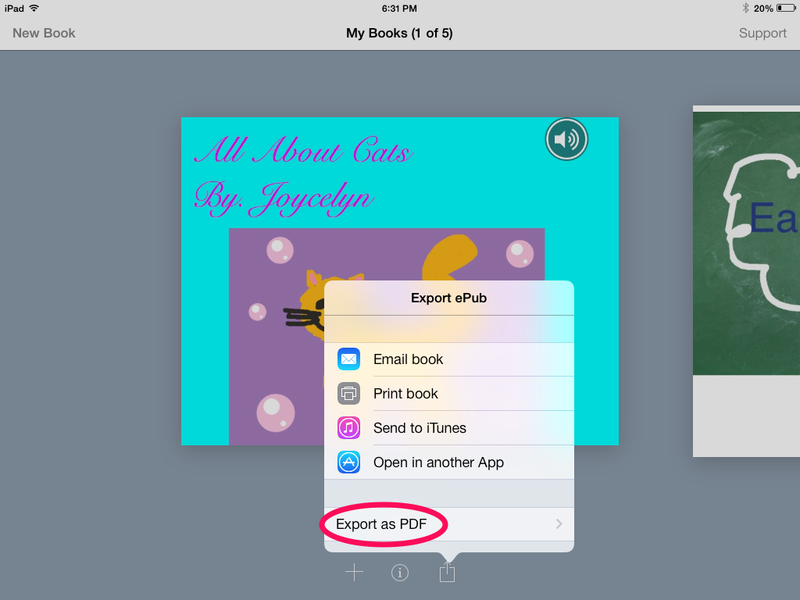 My favourite option is to export your bookcreator creation as a PDF. Then, choose to open the PDF in another app. The last step is to choose to open it in Explain Everything. Once you have opened the PDF in Explain Everything, you will notice that your book is laid out the same way as it had been in the Book Creator App. You now have the option to add video, audio and the ability to annotate on the page. How about having your students record their voice while pointing to the words with one of the cursor options? Or add a video on top of a video? How about using one of the pages as a background and use Tellagami to read the page or describe the picture? The options are endless! 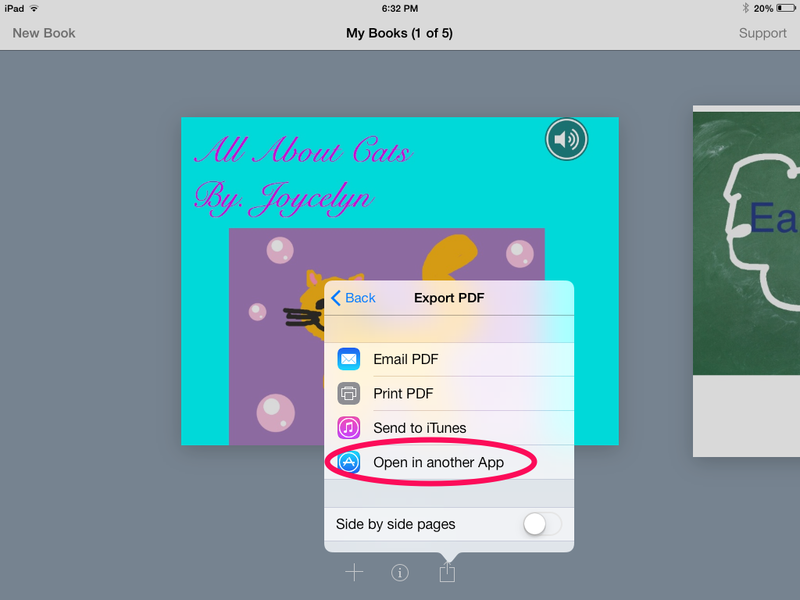 Instead of your students doing all of their work in Book Creator, have them create the pages without audio and video. After they have created the pages have your students add the video, voice and anything else they want to add in the Explain Everything app. The best part is that you can export the completed project to just about anywhere! Youtube, the camera roll (so they can add it to their blog), Dropbox, Google Drive or Evernote to name a few! Another great way is to open the book into Doodle Cast Pro, narrate it, save as a movie file to the camera roll and upload to your blog using Easy Blog or Easy Blogger Jr.
Great idea! I have to try it sometime. This is exactly what I do with my students! Open it in Explain Everything and record! Love using Book Creator - the students really enjoy it! I used Reflector to mirror my ipad onto my computer, manually flipped the pages and pressed the record buttons while capturing the whole process using Jing! But I am definitely going to try it with Explain Everything! Thanks!